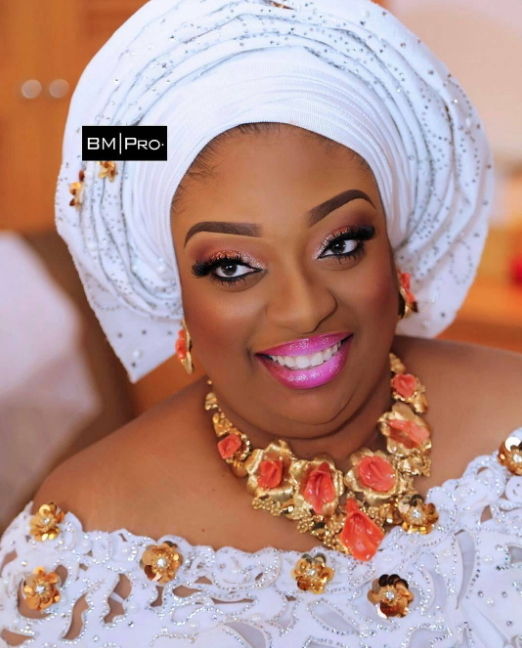 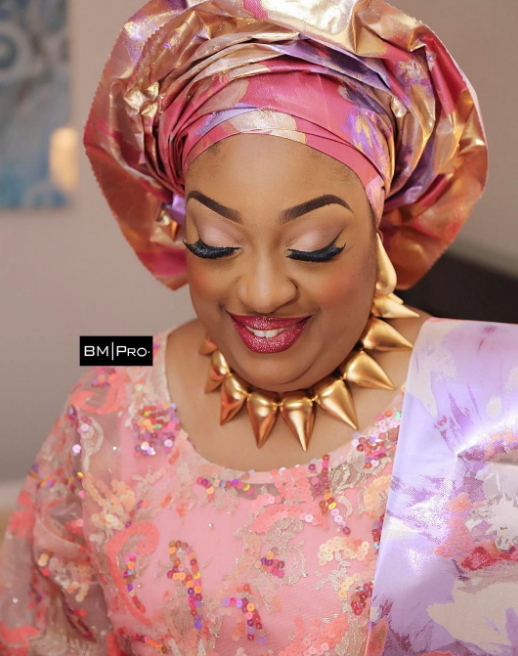 Meet Temitope Adebutu, the daughter of Premiere Lotto boss, Chief Kessington Adebutu. 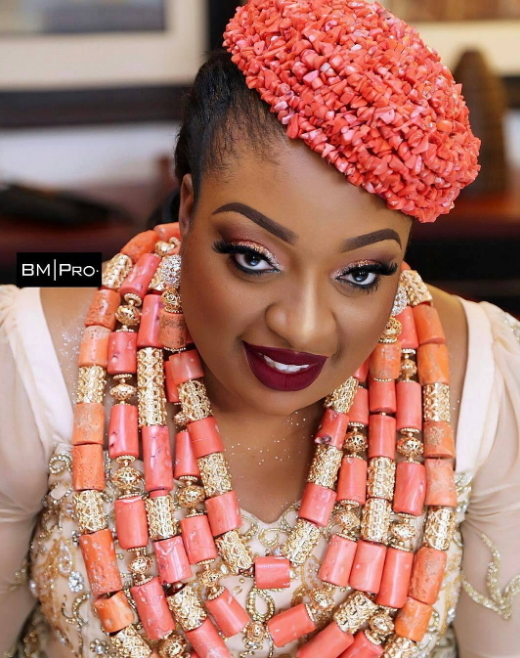 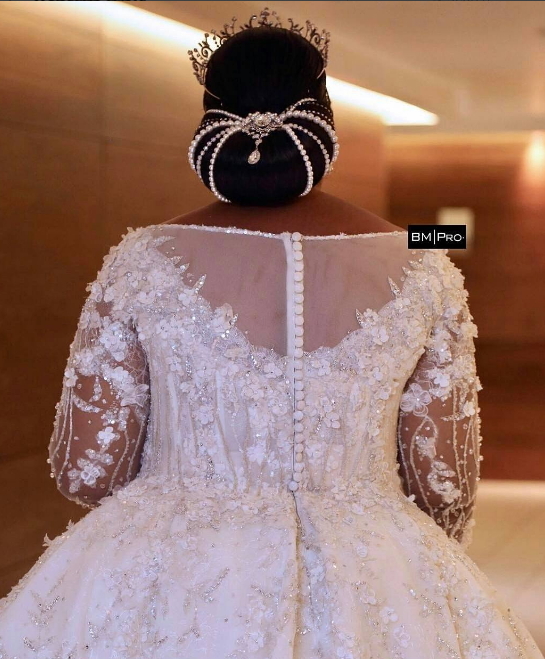 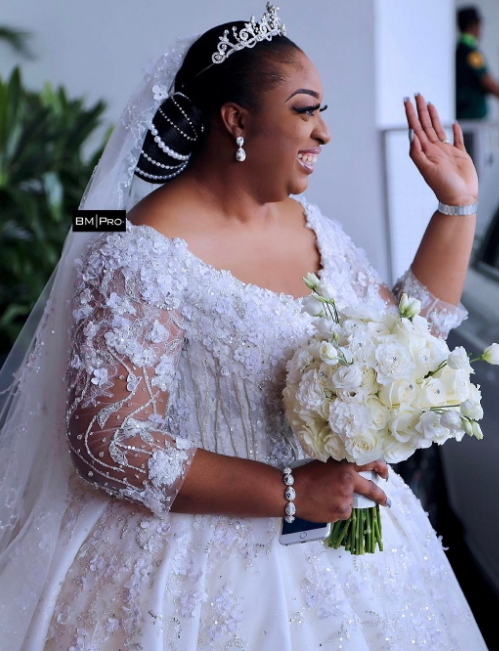 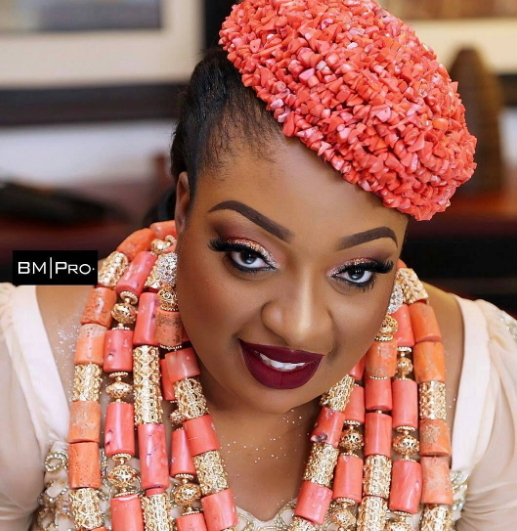 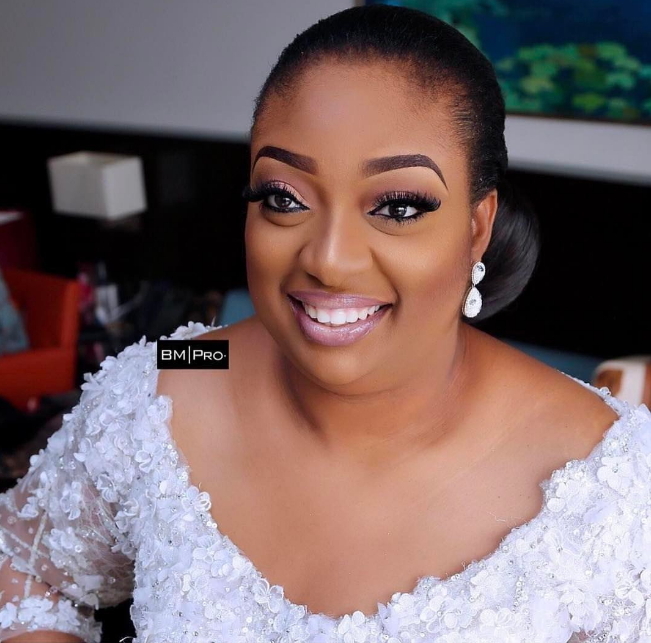 She got married to Obasanjo’s son, Olujonwo on Saturday the 13th of May. 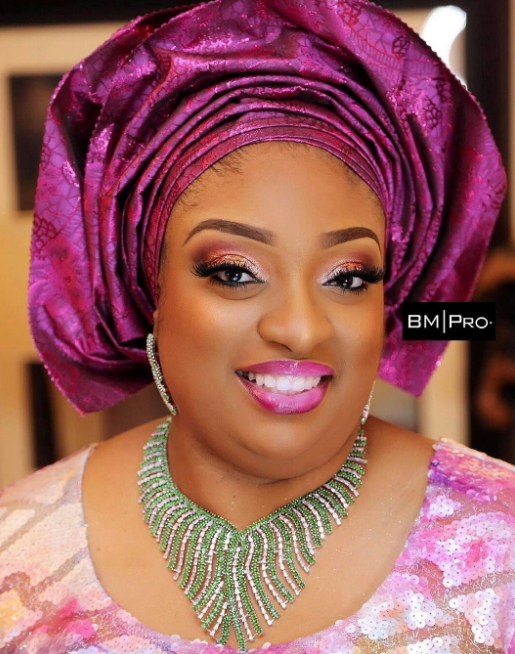 Her beautiful makeup was done by Professional MUA Banke Meshida Lawal. 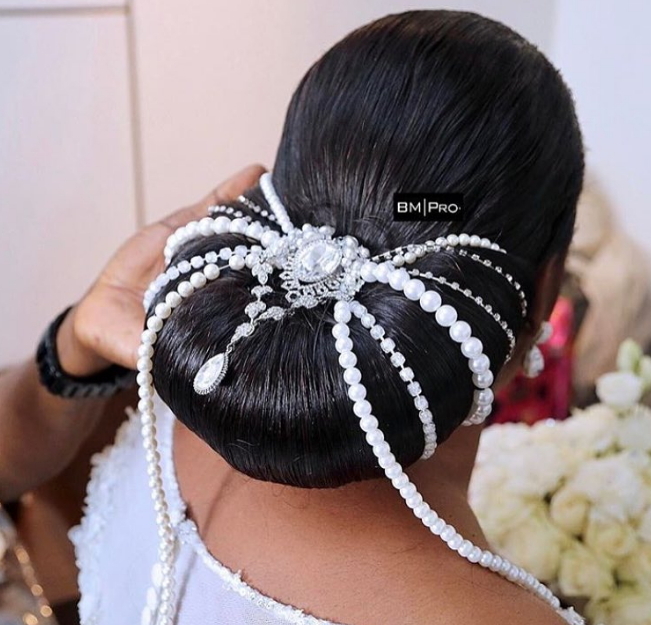 Her hair was designed by Ugo Igbokwe of Make Me Hair Salon in Surulere Lagos. 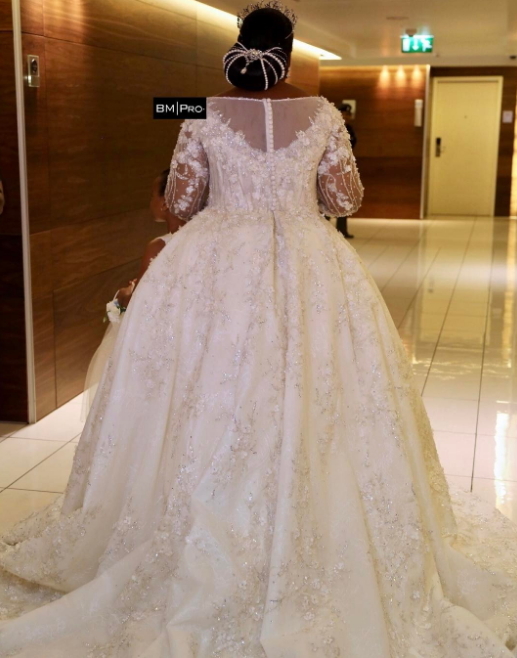 Tope’s wedding dress was designed by Lebanese wedding dress designer Zai Nakad. 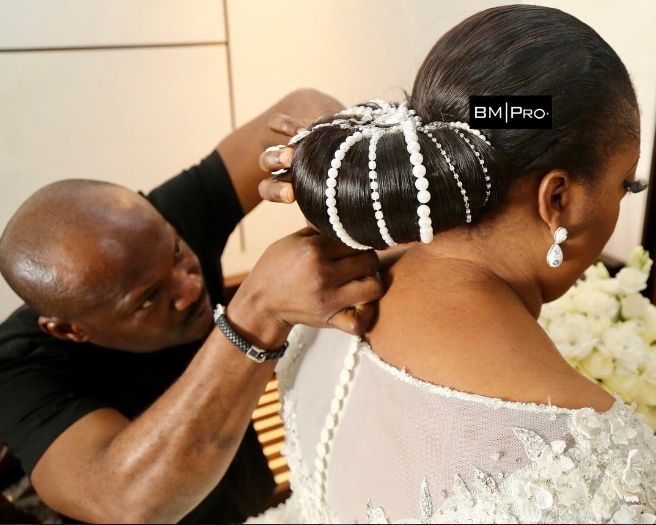 PRETTY AND MATURE..AS long as its not mary kay padded.wish u well even as your mother in law did not attending the wedding due to unseen issues. 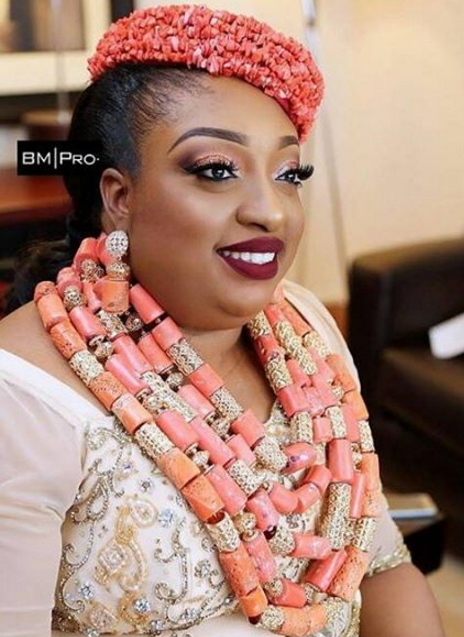 Yes at least by the help of overly applied make ups. And from the way I see it, judging from her looks, she may be veeeery wicked at home.